The beautiful and highly functional Ghost Chair designed by Philippe Starck is an ideal piece of furniture for both indoor and outdoor use. The dimensions of this quality replica are as near as possible to those of the original. 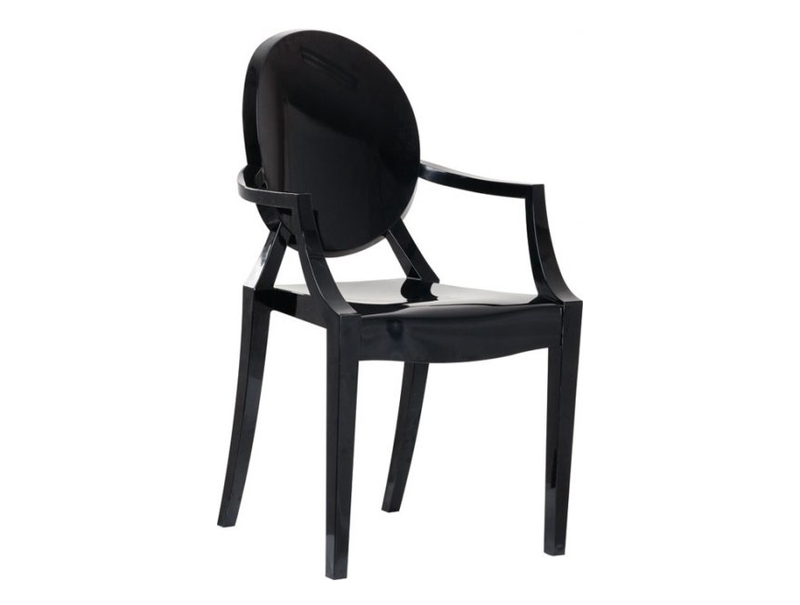 It is produced in one single mould of translucent polycarbonate, giving the chair its transparent appearance. This makes the chair easy to integrate into any interior or exterior setting. The form of the chair is inspired by the classic shapes of the Baroque style, which creates the interesting look of this piece. The high quality polycarbonate has great durability and is very easy to clean and maintain. This sought after design is a synergy of practicality and aesthetics and is an impressive complement to any contemporary décor. 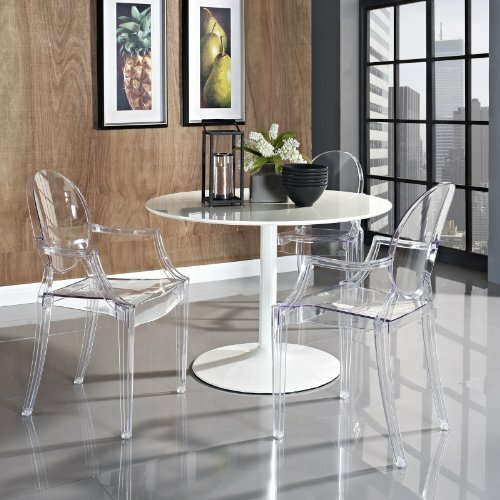 We reproduce the Philippe Starck Ghost Chair in a high quality single mould, made with crystal-clear polycarbonate available in a selection of translucent colours. Born in Paris in 1949, Philippe Patrick Starck is revered worldwide for his contemporary style and extreme versatility, applying his craft to a wide range of sectors, projects and ergonomic design. Having studied at the Ecole Nissim de Camondo in Paris, Philippe Starck began his professional career by winning the prestigious Furniture Design award La Vilette in 1965. He exhibited his entrepreneurial flair by creating and establishing a company purely for the design and manufacture of inflatable pieces, before eventually launching his landmark company Starck Products in 1980. Other career highlights include his interior design of the celebrated Café Costes in Paris and a spell as Art Director for the Pierre Cardin Studio. A crowning honour and achievement arrived with the invitation to design President François Mitterrand’s private rooms in the Palace Élysée, 1980.